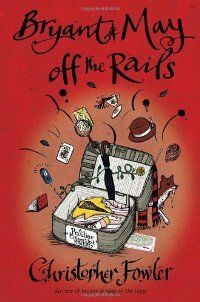 I’ve just reread the #8th Peculiar Crimes Unit novel, Off The Rails by Christopher Fowler. Fowler has become one of my favorite authors. This is another superb, satisfying romp with Arthur Bryant and John May who are Golden Age Detectives in a modern world. They head the Peculiar Crimes Unit, London’s most venerable specialist police team, a division founded during the Second World War to investigate cases that could cause national scandal or public unrest. The technophobic, irascible Bryant and smooth-talking, well-dressed John May, head a team of interesting characters. The cases take on the different styles of the classic detective story. 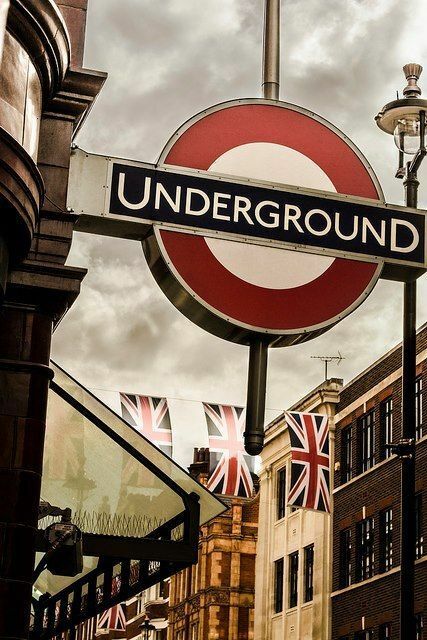 The series is set primarily in London, with stories taking place between World War II and the present. While there is a progressive narrative, each of the cases stands alone as separate stories. (the exceptions being ‘On The Loose’ and ‘Off The Rails’, which should be read together). Fowler weaves many factual layers of London’s history and society throughout the series making each one unique and fascinating. Most of the locations are recognizable London landmarks such as St Paul’s Cathedral, the Tate Gallery, and various theaters. London can be considered a separate character in the novels. 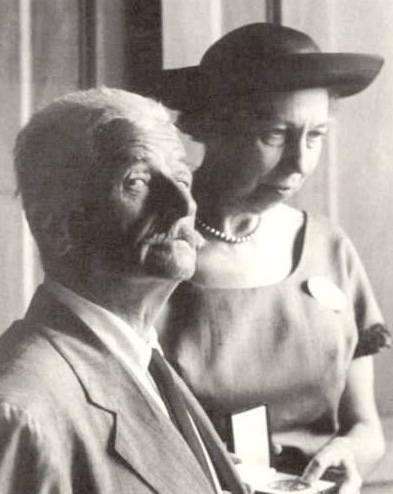 Christopher Fowler never fails to teach me something interesting, whether it is about English pubs or in the case of Off The Rails, the history of building the Underground Tube Stations. 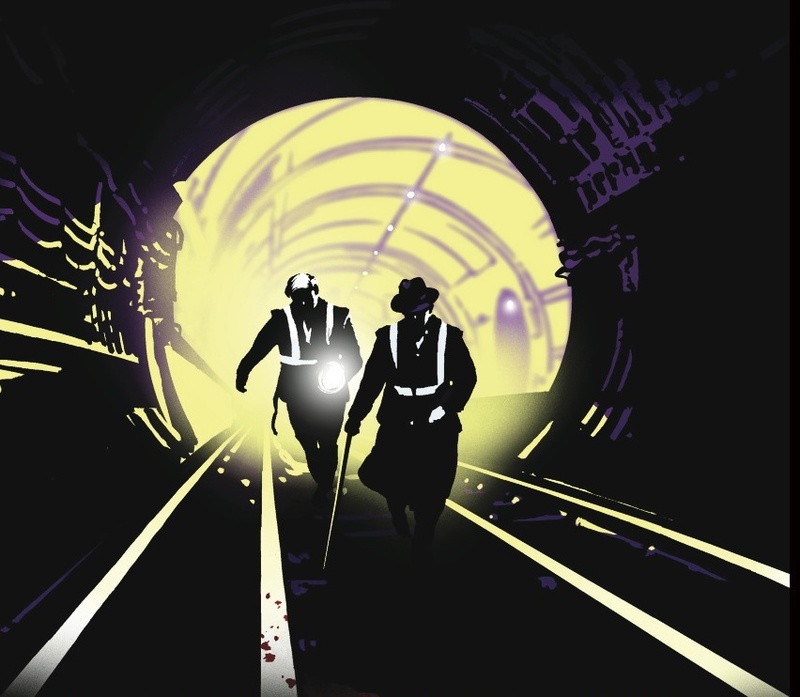 In Off The Rails, London’s Peculiar Crimes Unit has been given a week to clear its backlog of investigations or be shut down. While the team is looking for Mr. Fox, who killed one of their own while escaping, what appears to be a mundane accident takes place – a young mother falls down the escalator in a rush-hour tube station, in full view of commuters and cameras. Bryant and May suspect that the ‘accident’ is far more than it seems. As this mystery is unraveled, you will become a Christopher Fowler fan. Here is an example of Fowler’s fine writing. Arthur Bryant: Have you met him before? If not, imagine a tortoise minus its shell, thrust upright and stuffed into a dreadful suit. Give it glasses, false teeth, and a hearing aid, and a wispy band of white hair arranged in a straggling tonsure. Fill its pockets with rubbish; old pennies and scribbled notes, boiled sweets and leaky pens, a glass model of a Ford Perfect filled with Isle of wright sand, yards of string, a stuffed mouse, some dried peas. And fill its head with a mad scramble of ideas: the height of the steeple at St. Clement Danes, the tide table of the Thames, the dimensions of Waterloo Station, and the MOs of murderers. On top of all this, add the enquiring wonder of a ten-year-old boy. Now you have the measure of the man. I am never without a book. When I finish one, I start another. Throughout this summer of 2018, I am writing about the books I’m reading, and only those I highly recommend. I hope you have already read The Aviator’s Wife, a novel by Melanie Benjamin, a story told through the eyes of Anne Morrow about her life with husband Charles Lindbergh. 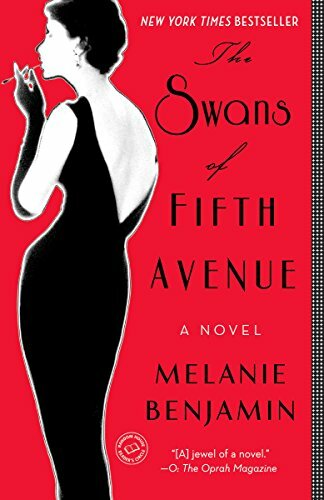 After this well-written book, I looked forward to The Swans of Fifth Avenue. I’m not sure anyone is writing better historical fiction than Melanie Benjamin where the research, characters, the sequence of events are fact, the storytelling fictionalized, This is how it is done! The only drawback in reading this well crafted, romp through New York Society with some of its most famous, glamorous creatures and famous locales, is spending time with Truman Capote. He took me to the edge of closing the book several times because I have no interest in him at all. It has nothing to do with his homosexuality and everything to do with his strangeness. I have always found him unlikeable, and an often pathetic man. Nothing has changed my mind. Truman remains as a caricature of his sexuality, working hard at being gay to promote the stereotypes that were stumbling blocks for those who came after him. The dripping scarves, the awful cattiness of his remarks, his flighty, gossiping self. Ah, but Melanie Benjamin’s writing takes you beyond all this objectionable wiredness to the heart of friendships that last a lifetime, the importance of the stories we carry for one another, growing older and what we fear. Benjamin writes from a lifetimes fascination with New York, its setting and people; her knowledge and heart are evident, but I am in awe of her contribution to the ongoing theme – – the value of the journey as well as its destination. 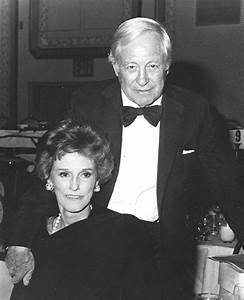 Of all the characters, I was the most interested in Willaim S. Paley, founder, CEO of CBS, advisor to President Eisenhower, the man who discovered Bing Crosby, and Edward R.Murrow. Yet, he too was taken in by Capote, as were The Swans, until he betrayed them all. The complexity of Truman Capote, who you first met as the little boy, Dill, in Harper Lee’s To Kill A Mockingbird, is best left there. A glance through the books on our shelves says a lot about who we are. I think of it as an archeological dig into our lives revealing what interests we’ve had along the way. Throughout this summer 2018, I will be blogging about the books I’m reading. I know that no two people read the same book, but I will only write about books I highly recommend. I’ll begin with a book thrust into my hands by a good friend, “I think you will like this one.” Author Francine Mathews was unknown to me and I’ve always had more interest in Bobby Kennedy than Jack, but….Jack 1939 it was to be. I’m glad I didn’t miss it. 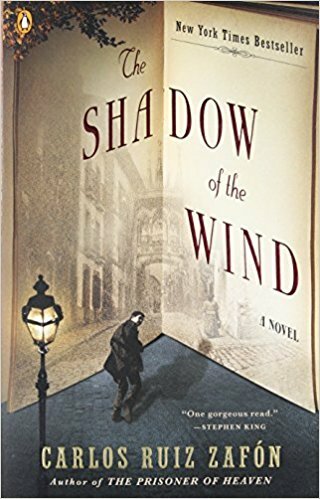 Well researched, well written, a page turner, a historical setting you are familiar with, and a novel you won’t want to put down. As Francine Mathews, she has written two series: one set in Nantucket featuring police officer Meredith “Merry” Folger, the latest in a long line of police officers in her family, including her father who is also her boss. Her second series are spy thrillers based on her time working with the CIA. As Stephanie Barron (her middle and maiden names), Mathews has written historical novels featuring the English novelist Jane Austen (1775–1817) as an amateur sleuth. The books are presented as lost diaries merely edited by Barron. 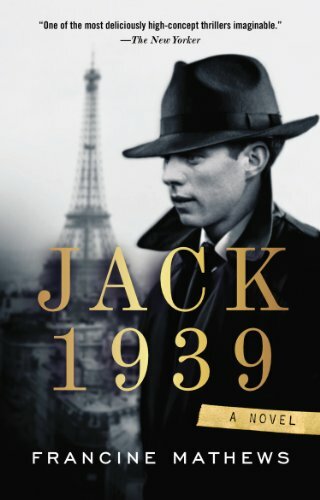 Altogether she has written twenty books including Jack 1939. It’s the spring of 1939. The United States has no intelligence service. In Washington, D.C., President Franklin Roosevelt may run for an unprecedented third term and needs someone he can trust. His choice: Twenty-two year old John F. Kennedy, who is planning to travel through Europe to gather research for his Harvard senior thesis, Roosevelt takes the opportunity to use him as his personal spy to provide information that will help stop the flow of German money that has been flooding the United States to buy the 1940 election—an election that Adolf Hitler intends Roosevelt to lose. Francine Mathews has written an espionage tale combining fact and fiction as the world careens toward war. Upon reflection…how did it all turn out? What do your stats tell you? Did you pick a theme that worked with the nature of The Challenge? If the point is to encourage new readership, if I am visiting for the first time on day 12 in the middle of a short story or find a subject that is depressing, worthy as it may be for another time, neither are great ideas for a “26-day expiration date opportunity.” Offer an interesting theme and valuable information worth someone’s time to follow. You are trying to demonstrate that your blog is easy to read, uncluttered, font and background readable, and that in order to navigate the template you are using, a person doesn’t need a rocket science background while clicking here, there, and everywhere, trying to get at the post. I suspect other people like myself were frustrated that the links on the participation list were not live, meaning EACH TIME I had to cut and paste the address. Eventually, I said, “the hell with it.” Every blog I looked at, on average, had 15 likes and a scattering of comments. The LIST is the key. In 2017, participation was way off, because they tried to change the LIST and added daily messing around. At least, once again, a list was provided. The #Challenge is a WONDERFUL adventure. There are amazing blogs that model how it should be done. I’m appreciative of the time, research, and fine writing that goes into preparing for the AtoZ experience. If increased followers are the only benchmark for a successful outcome, you may be thinking, is it worth it? Before you say, no, take a hard look at your blog as it appears today. I am a better writer because of the years I have participated. In blog hopping, I have found teachers that have taught me valuable lessons by example. They cause me to reconsider content, appearance, and a host of other ideas. I’m pleased that I have 29 new followers, that my theme, BOOKSHOPS, was well met, and that I am following several new wonderful blogs I found in April. Upon reflection, I can say without hesitation, that the preparation, research, and the writing are worth the effort and make my heart sing. HERE ARE THREE GREAT EXAMPLES OF BLOGS I FOLLOW. Thank You for visiting my bookstore tour throughout April for this year’s AtoZ Blog Challenge. Henry Ward Beecher said, “Where is human nature so weak as in the bookstore.” I know this is true for me. I invite you to continue keeping me company by FOLLOWING this blog where I write book reviews, reflect on writing, gardening, travel, and……more. 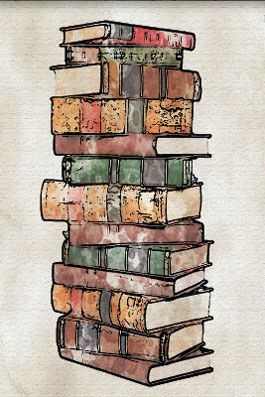 Drew Barrymore said, “You can never, never have too many books.” I agree. 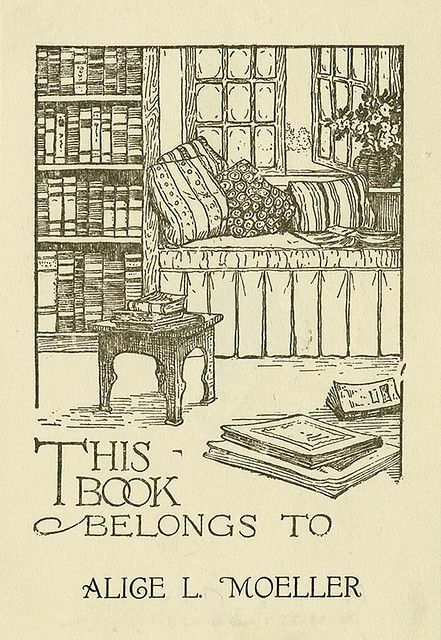 but I add, ”or ever, ever have enough bookshelves.” I’ve reached an age when I’m beginning to worry about what will happen to my books when I am gone. I have a dear friend, John V. who feels there are too many pillows on the bed in the master bedroom. With good humor, should this be the case, he says that after his wife’s celebration of life service, he intends to place these pillows in the hands of friends saying, “Tucker would want you to have this.” I laugh whenever I think of his problem-solving strategy. When it comes to giving away MY books, that’s a different matter. Altogether, my books constitute an archeological dig into my life. In this particular collection, each book has been chosen carefully by subject, because of its book jacket and the blurb on the back of the cover where I look and find a few buzz words that tell me if the author and I share a language. These books are a part of my identity and have helped me understand my life. Only moving has forced me to cull the herd, so to speak. Risking that I can live without them, I set a few books aside to be given away. 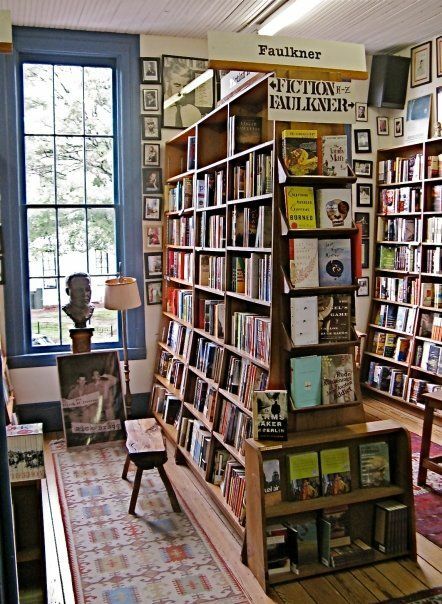 When I walk into a bookstore I understand why there are so many books because there are many different kinds of readers. 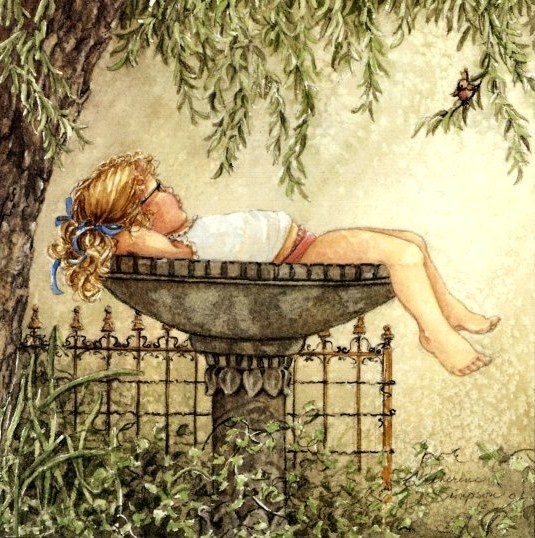 You might not be interested in my beautiful garden books, shelved by subject, essential to this self-taught gardener, or you might not love Pat Conroy’s lyrical voice, or read the kind of poetry I read. Perhaps you have no interest in reading one of my non-fiction titles like Citizens of London by Lynne Olson or Harold Evan’s My Paper Chase. Though how you could resist my new favorite author, Amor Towles, who wrote A Gentleman in Moscow and Rules of Civility, I can’t imagine. We know, however, that no two people read the same book. 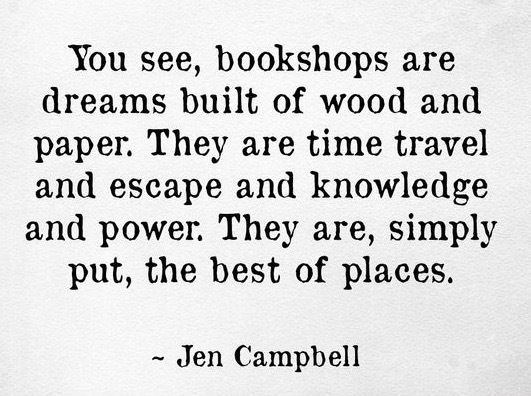 We can agree that time spent in a bookstore provides the happiest of hours. Starting a new book is an adventure not to be missed. Over time, my ‘favorite’ book changes. I suppose the same is true for you too. I hope you remember the gift of your childhood books and your mother reading to you. I’m not sure which day I slipped off her lap and began to read on my own, but since then, on any given day, I am never without a book. 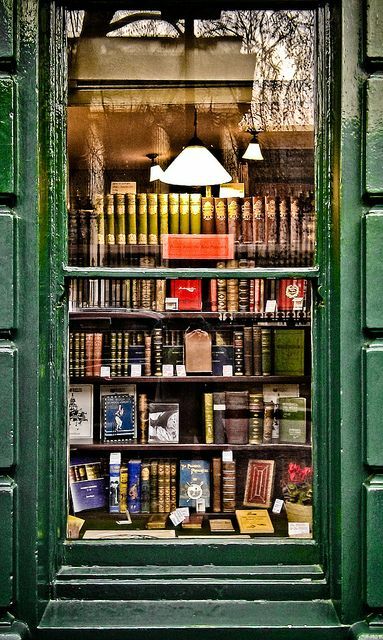 I cherish the books and bookshops that have provided endless hours of pleasure. I hope you have enjoyed the theme I selected this year. From start to finish it has been my delight! I couldn’t find a bookstore that filled the bill for the letter Y. 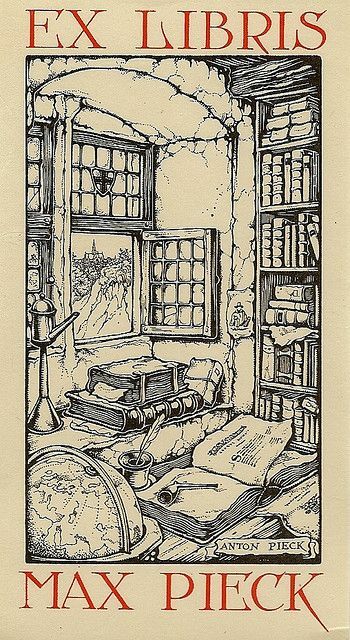 Therefore, this is an FYI post about the bookplates people paste on the inside front cover of their books to indicate ownership. It is a fascinating subject and collectors abound. 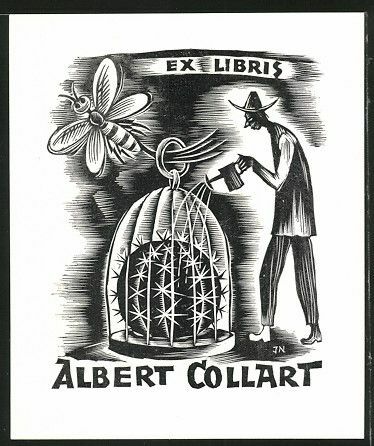 A bookplate or book-plate, also known as ex-librīs (Latin “from the books of…”), is usually a small print or decorative label. 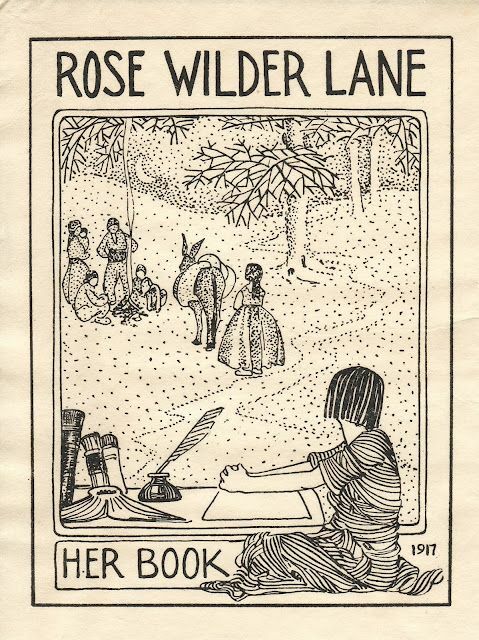 Simple typographical bookplates are termed “book labels”. 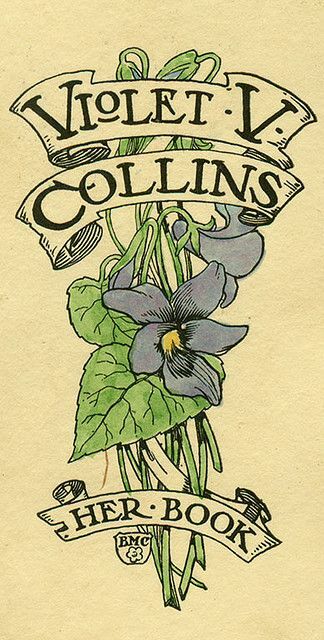 Created by an artist or designer, bookplates typically bear a name, motto, coat-of-arms a crest or any motif that relates to the owner of the book. The name of the owner usually follows an inscription such as “from the books of…” or “from the library of…”, or in Latin, ex libris…. 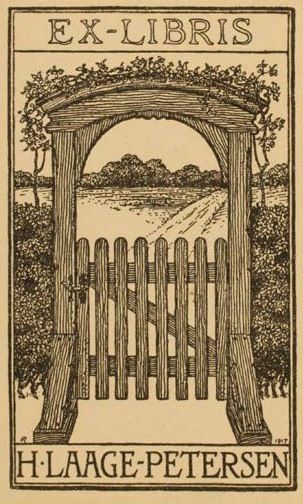 Bookplates are important evidence for the provenance of books. People collect these wonderful pieces of art. CLICK HERE: to see more from my Pinterest collection. Enjoy knowing something more about these little gems. 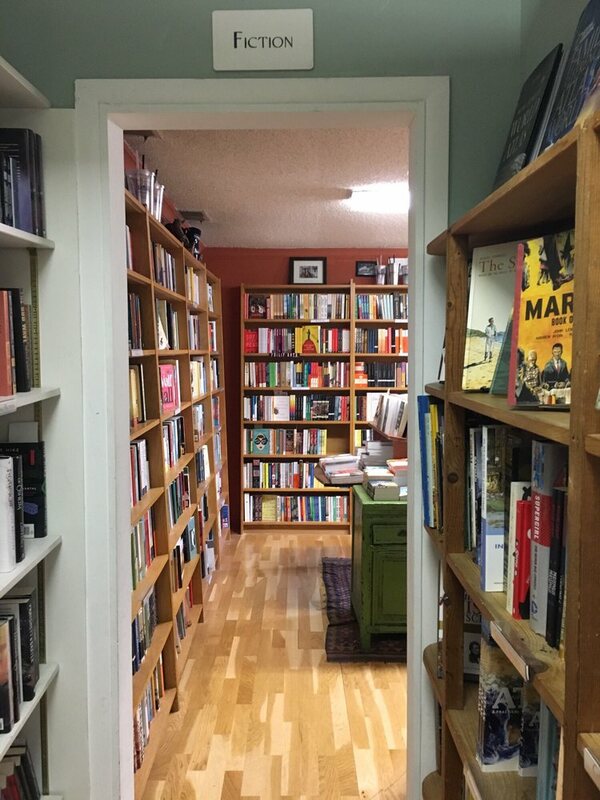 With nary a bookstore to write about for the letter X, I fell back on the saying, “X marks the spot,” which led me to wonder where you put the books you happily lug home from the bookstore? There is never enough shelving in my house. The image on the right makes me laugh. Is this where I am headed? 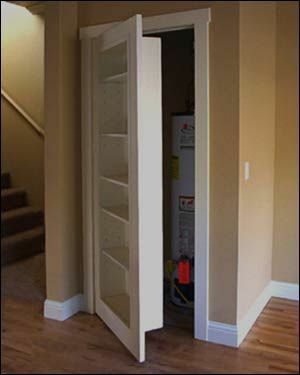 Below are a few great ideas other people have designed to solve the wonderful problem of owning too many books. It takes some creative thinking to keep making room for more! On Pinterest, I pin ideas that catch my eye even if most of them are too ambitious for my budget. 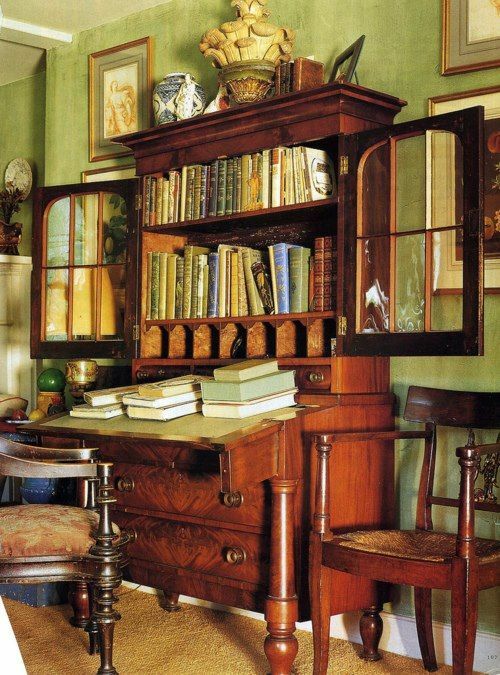 Sorry X isn’t about a bookstore, but enjoy these great solutions for shelving. I grew up in Evanston, IL. the first suburb on the North Shore of Chicago. It was a safe place where we rode our bikes around town and no one worried about us. We could walk unattended and no one thought a thing about it. One of the places I visited on my own was the Evanston Library where I fetched the latest batch of books I was allowed to borrow. There were two five and dime stores in downtown Evanston where I sometimes spent my allowance buying small books that cost 25 cents. I never dreamed that one day I would come home again to live in Winnetka, IL, a suburb further north on the lake, and where archrival, New Trier High School, educated our children. 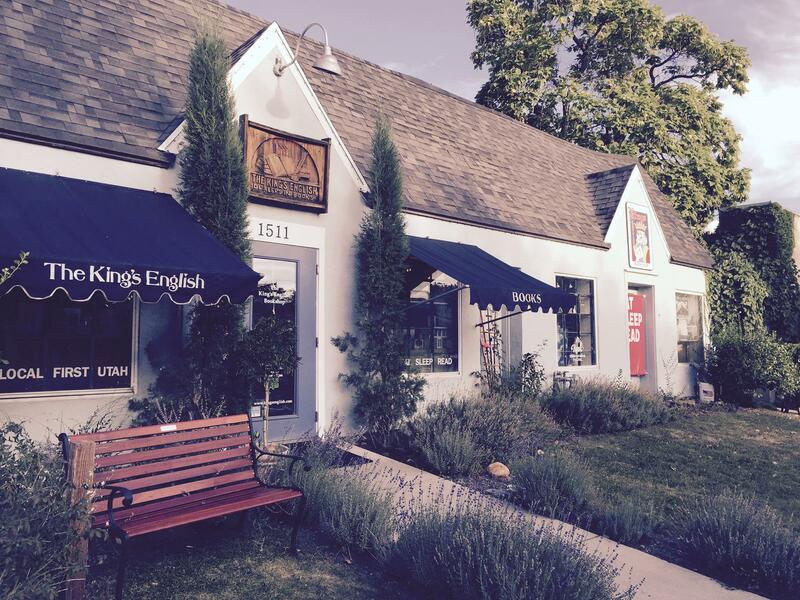 In Winnetka, on Elm Street, there resides one of the finest bookstores in business and a destination I try to visit whenever I can get back. At one point with expansion, you can have coffee next door. Author visits and book signings have long been a successful activity at the store. Countless children have spent time in the room pictured on the right among a great selection of children’s delight. In real estate, they talk about location, location, location, and Elm Street, the location of the bookstore is the hub of activity. The store is surrounded by wonderful tutor architecture. The most important thing to know about The Book Stall is that it has everything you need and didn’t know you wanted in the way of books. The Northwestern train stops in Winnetka, so next time you take yourself off to the great city of Chicago, get on the train and come north to spend time wandering around, eating, and visiting a great bookstore. Munro’s Books filled all my criteria for inclusion in this year’s theme for the 2018 AtoZ Blog Challenge. 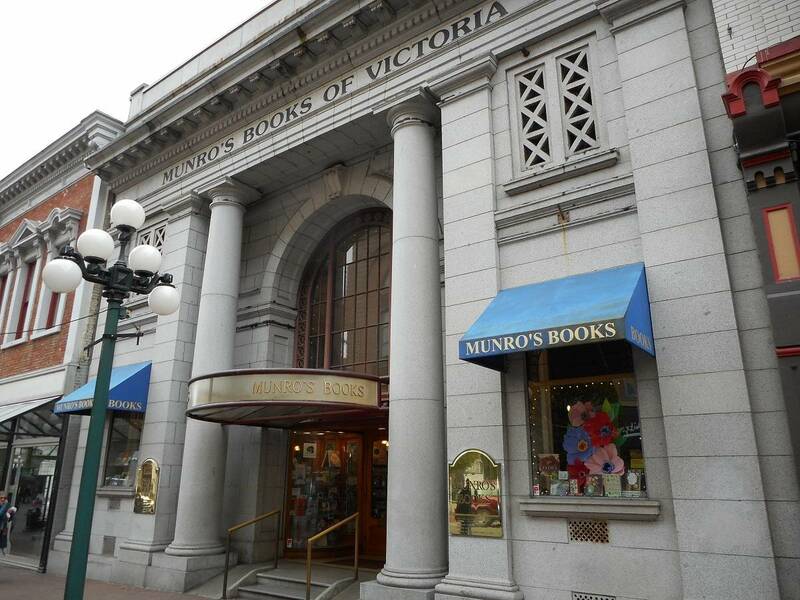 Munro’s has been a destination for book lovers for more than 50 years occupying a landmark location in the heart of Victoria’s Old Town. I wrote in an earlier post that besides reading and writing, architecture, preservation, and revitalization are passions of mine. Imagine my pleasure when my research led me to this bookstore located in this fine neo-classical building designed for the Royal Bank of Canada in 1909 by Thomas Hooper, the architect of many of B.C.’s finest commercial and public buildings. The beautiful coffered 24ft. ceiling closely resembles the ceiling of the porch of the great library of Ephesus built by the Romans in the 2nd century AD. Jim Munro, the owner of Munro Books, bought the building, which had been tastelessly modernized in the 1950’s and set to work restoring it to its former glory. In only 8 weeks, it was refurbished and ready for business. The building has since received two heritage awards. These photographs capture what a magnificent setting the repurposing of this building is for a bookstore. A little background: In 1963, Jim Munro and wife Alice Munro (yes, that one) opened a shop on Yates Street, near Victoria’s movie theatres. 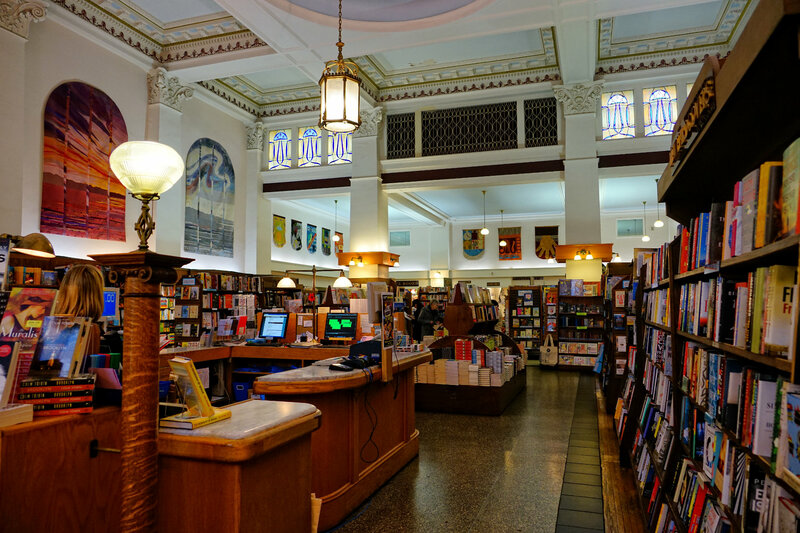 There were few bookstores in Victoria at that time, but this location was convenient and the staff’s interest in new writing trends and art forms built a loyal clientele. Another move to Fort Street and in 1984 to its current location. Jim Munro announced his retirement in 2014. He turned the ownership of the store over to four long-term staff members. Mr. Munro died in 2016 with tributes from across the country testifying to the success of Munro’s legacy lovingly built. 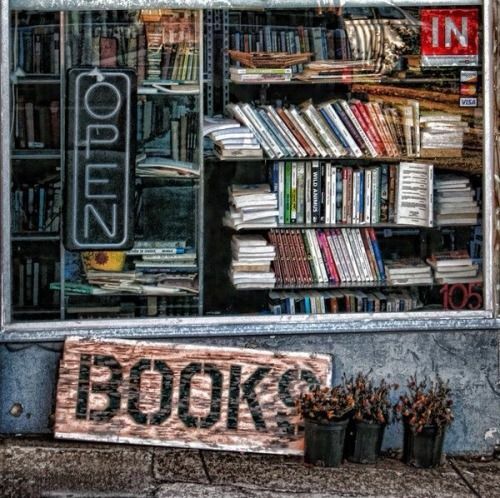 Let us hope that this wonderful bookshop goes on and on. 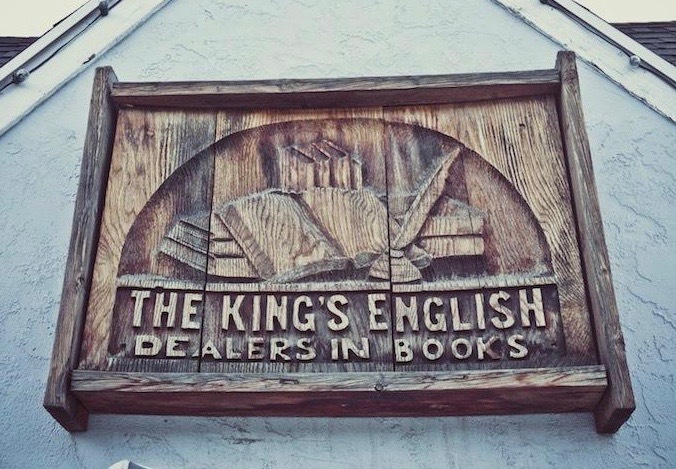 Opened in 1977 as space for two aspiring writers to pen their Great American Novels, The King’s English in Utah is now home to knowledgeable booksellers and a children’s room in a treehouse. Betsy Burton and Ann Berman, book lovers and aspiring writers, rented an old building with several rooms, thinking they’d write in the back, emerge to sell a book or two whenever the bells on the front door jangled to announce the arrival of a customer. The women realized the jingling bells were not a distraction from their writing life but a welcome sound, signaling the opportunity to meet new friends and talk books. They used the money they received from a James Patterson grant to raise the roof, put in windows and build more shelving. As an author, I can’t think of a more enviable setting in which to write, stay connected to kindred spirits and become an important part of the community. I love reading novels and mysteries that have to do with the world of books. Let me single out…..